Here we are at day three! 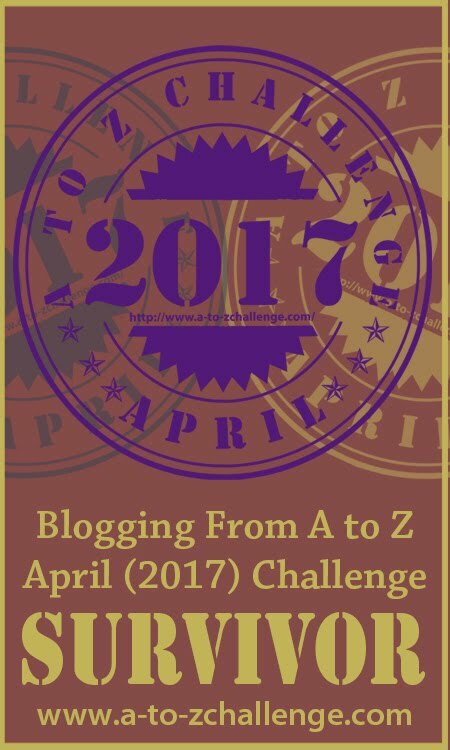 Hopefully most of you are still filled with enthusiasm and ready to persevere to the end of the Blogging from A to Z April Challenge. However, I know from the experience of past years a few of you might be wondering why in the world you decided to take on this crazy Challenge. Each year I've seen bloggers stop way before they've even gotten to the middle of the alphabet. The excuses are diverse, sometimes totally valid, but usually it's a matter of the unwillingness to believe in oneself and just giving up. Don't do it! Are you ready to keep going until the end? More importantly, are you willing? What is your best motivator? I'm a fan of random. I tend to get random myself now and then. 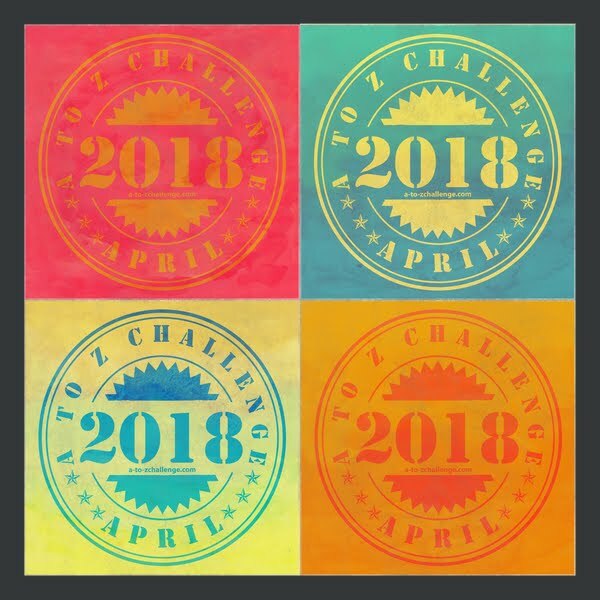 This is my first year in the challenge and I'm loving it! I'm extremely motivated to continue to the end, partly because I'm very happy with my theme and what I'm writing, and partly because it is absolutely wonderful to be reading so many other terrific themes. I've come across some real gems. I am wondering how do we hop, read and comment on other's blog. I have tried the challenge twice but work seems to derail me as I never started writing ahead. This year I began a few days ahead of the start so now I am writing daily but for a post two days from now. It feels a little like cheating but in the other hand, I am writing daily again so winner winner!!!! You can use the links offered in this comment section for starters. Check the lists which are linked above. 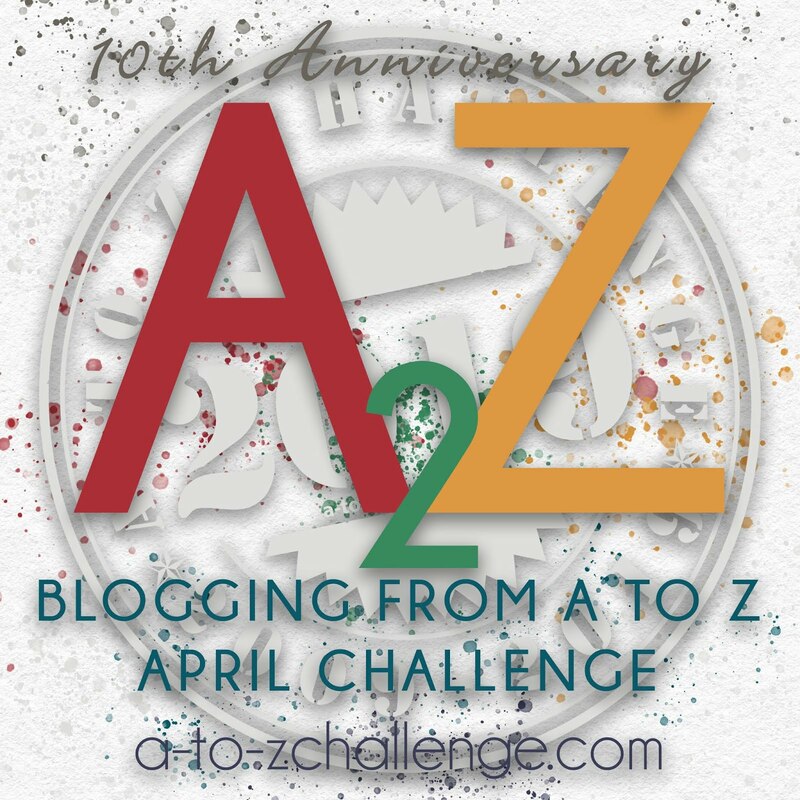 There are also a lot of links on the A to Z FaceBook page as well as Twitter #AtoZChallenge. Or you can follow links in comments left on your own site or the sites of other participants. Plenty of places to find the participants. I haven't been even able to keep up there are so many. It's nice to have all the posts done ahead of time, but it can be wild fun to do them as you go. Works either way. I'm only up to F right now and time is catching up to me. 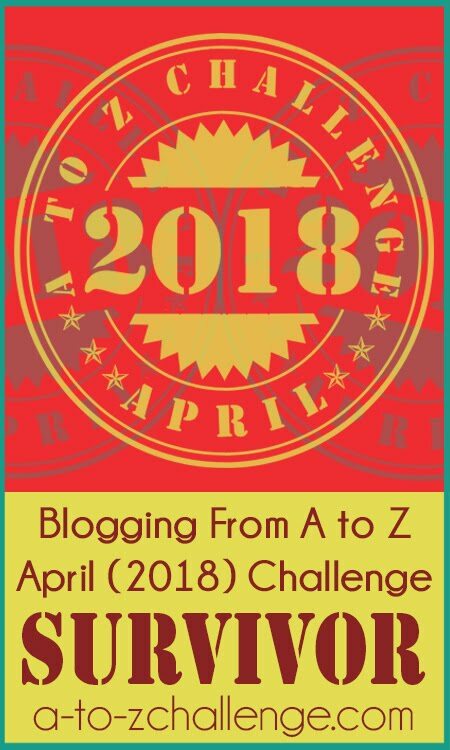 I am new to the Challenge and have taken the approach of writing daily (which my theme 'April Adventures' dictates). I can already see that it will be a wild and crazy ride (and so unlike my 'plan everything in advance' personality). I am totally up for the challenge! The one problematic area for me is that I had planned to write and post in the evenings (after the day's 'adventure'). Already being in a later time zone, will put my published posts more than a day behind many others. I am trying to think of some 'work arounds' to this. 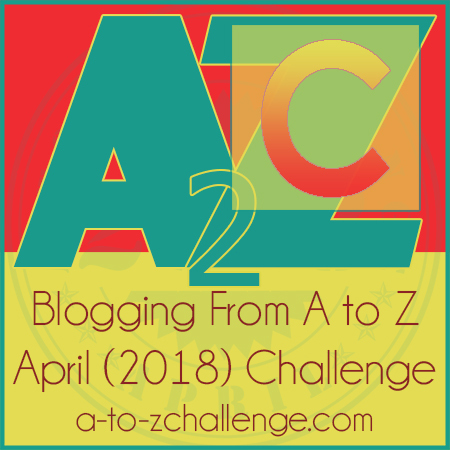 Welcome to A to Z! 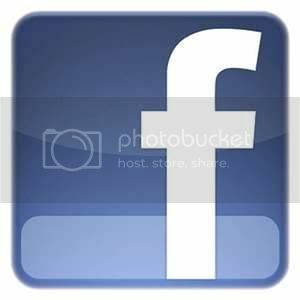 My first year of doing A to Z (2010) I posted day to day and left over 100 comments per day. It was a bit crazy, but it was a lot of fun. 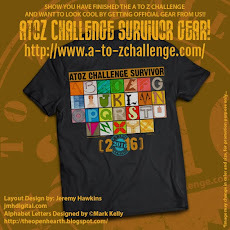 That's why I called A to Z a "Challenge". Oh yes that is the real motivation. We all can do it. Here is my post for letter C.
I'd hoped to have all my posts ready in advance but I'm only a few days ahead so I expect I'll be back to doing posts on the day and watching the clock! It's definitely a challenge but I hate giving up on things so hopefully I'll be able to finish. This is my fourth year. I am unable to click on the link in the spreadsheet and got to blogs. I have to copy the link, open a tab and paste then hit search. My visits today are down significantly also, so wonder if I am not the only one seeing the issue. I hope I can! Work is crazy and spare time is shrinking. But I'll keep on going!! CAN is a very good word to describe the A to Z. From past experiences I know, am really missing taking part. The link wasn't passing correctly to the simulcast blog, for whatever reason, so I fixed it over there. It works fine here. Yvonne, I miss your posts, but appreciate the support you've been giving to participants. They are all hyperlinked (the form was designed so the sheet would do that automatically, thanks to Google). I did a web search for your problem, and came up with a result. I know NOTHING about that method. I haven't had the issue you're having, so I don't know how to advise you. We tested the sheet on several makes and models of computers and mobile devices before selecting it. Have you tried clearing the cache on your web browser? That sometimes helps. Do other hyperlinks NOT on the sheet work for you? I'm sorry I do not know how better to assist. I decided to run an alphabetical monstrorium in my blog. Here is my entry for C: "C is for Chimera", in which I tell you about this savage creature and its mythological origins.